It feels like yesterday we were celebrating the beginning of a new year; 2017. Now we are nearing close to celebrating the end. The festive season is such a special time of the year, in particular for our littlest loves. It is important to create traditions with your children from a young age that welcome the beginning of the festive season. It is often the traditions that don’t involve a lot of money or planning that create everlasting memories your little ones will look forward to each year. 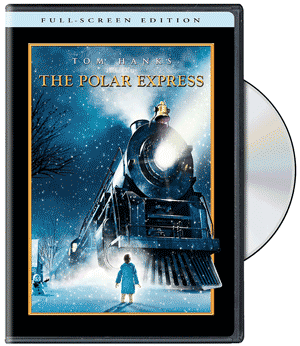 Classic Christmas movies such as ‘The Polar Express’ and ‘The Grinch’ are always successful family favourites. Watching Christmas movies with your children will not only allow you all to bring on the festive season but offers explanations about giving and receiving during Christmas. Family fun activities such as ice-skating can be great ways to celebrate the holiday period. In countries where the Christmas period falls over Winter, marsh-mellow toasting and hot chocolate drinking are always a must! We may not all be religious although the Christmas period is a great time to spend with friends and family. 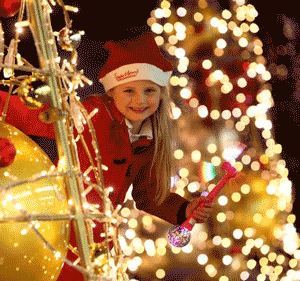 Carols allow your children to enjoy the Christmas spirit with other friends while enjoying family centred songs. A typical Australian family fun day involving cricket and fish and chips is a great way to celebrate the festive season in countries where Christmas falls in Summer. Inexpensive days such as these can make great memories for your children. Majority of our children love chocolate! Why not start the countdown to Christmas with a chocolate advent calendar. If you aren’t someone who wishes to give your children chocolate each morning for the days in December you can purchase present style advent calender’s or just use a special calendar where you are able to mark off the days until Christmas with the help of your children. Each year a popular tradition is for each family member to pick out a special decoration that represents themselves or alternatively what Christmas means to them. Hallmark Decorations offer a large range of quality Christmas decorations with something each family member is bound to love. 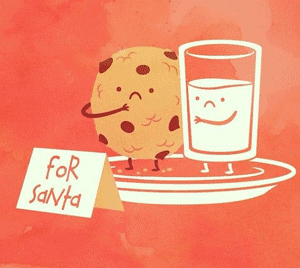 Allow each of your children to write their own letter to Santa explaining what they would like this year. This is a great tradition as it also allows you to know exactly what they are wishing for. Although your children will be receiving gifts this year there are lots of children who will not be. Donating just one gift to the giving tree allows a child who usually wouldn’t be gifted a present to wake to find something from Santa. For traditional families, setting up a nativity set and teaching your children the purpose of Christmas is something that is part of their festive celebrations each year. For those who have a little extra money around Christmas, decorating your house (with the help of the kids) with Christmas lights can become a tradition. ‘The Elf on the Shelf‘ tradition has become increasingly popular and involves using a toy elf; ‘sent from Santa’, to watch your children’s behaviour on the lead up to Christmas. Christmas eve boxes are small presents given to the children the night before Christmas. In these boxes parents give their children items such as Christmas pyjamas (for the children to wear that night), a Christmas themed book (to read as a family that relates to Christmas or the holiday period) and a fun festive snack such as a Santa shaped chocolate. A common family tradition is to go Christmas light looking around the neighbourhood on Christmas Eve. This is lots of fun for the Children and reminds them that Santa will be coming to their home to deliver the presents that night. For religious families, attending a Christmas church service can be a tradition that the young Children look forward to. Often at these services the churches organise a visit from Santa Claus. 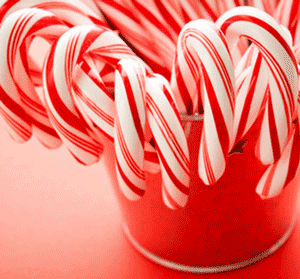 Hide a selection of candy canes in the garden for your children to find. In the morning, the food left out will be nibbled at and the children will be excited that the reindeer’s and Santa have visited their home. 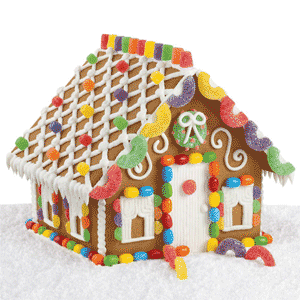 Creating a gingerbread house is a fun Christmas cooking activity that can then be eaten, or gifted to a family member such as a grandmother. Often family members appreciated presents created by the children over something purchased. Create a special day in December where you invite family over for a small dinner and desert- a chocolate fountain. Baking cookies with your children can be a fun and rewarding experience. Not only do they get to create their own cookie shapes (we suggest using Christmas themed cutters) but they get to eat them too! Either buy a pre-made babble and allow your children to decorate it or alternatively create a decoration from scratch. These decorations will be the most sentimental in years to come. 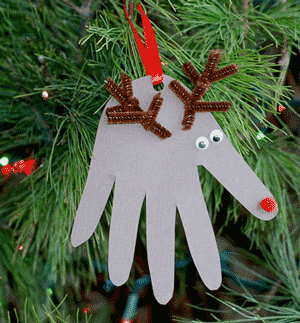 Buy a plain Christmas tree skirt and each year trace your children’s hand prints. This way the next year you can see how much your children have grown compared to the previous years. A similar idea can be completed by tracing your child’s footprint.